1. What had happened to the poor man in our story? a) He could not find the town he was looking for. b) Thieves came and beat him and took his money and clothes. 2. First a priest came along. What did he do to help? a) He gave the man some food to eat. b) Nothing. He took one look at the man and passed by on the other side. 3. What did the Levite do when he came to the wounded man? a) He gave the man some money. 4. Who was the third person who came along? 5. 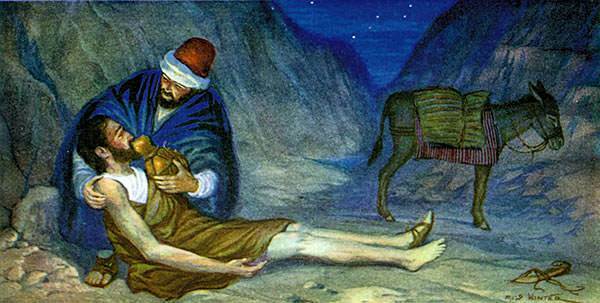 What was the first thing the Samaritan did for the wounded man? a) He gave him food. b) He put his arm around him and poured oil on the man's cuts. 6. Where did the Samaritan take the man? b) To his own home. 7. 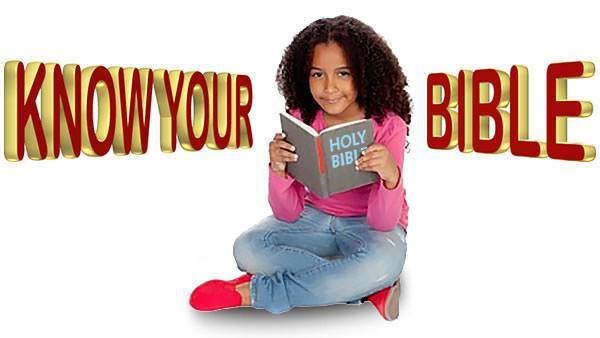 When the Samaritan had to leave what did he tell the innkeeper? a) "I am leaving now." b) "I will not do any more for this man." c) "Take care of this friend of mine until he is well. Here is money. I will give you more if you need it." a) That we should love our neighbor as ourselves. b) That we should take care of ourselves first.